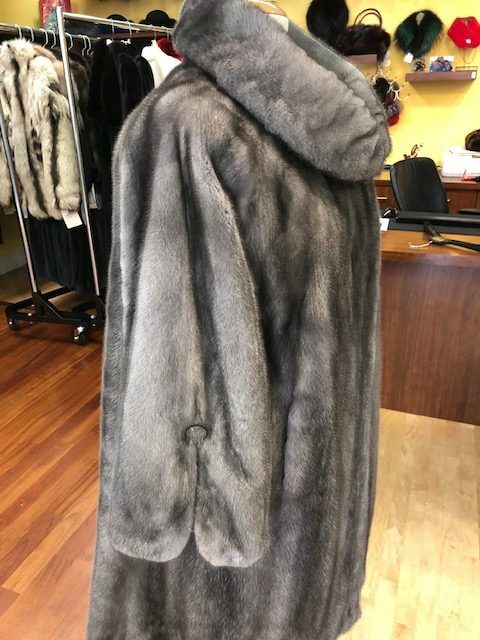 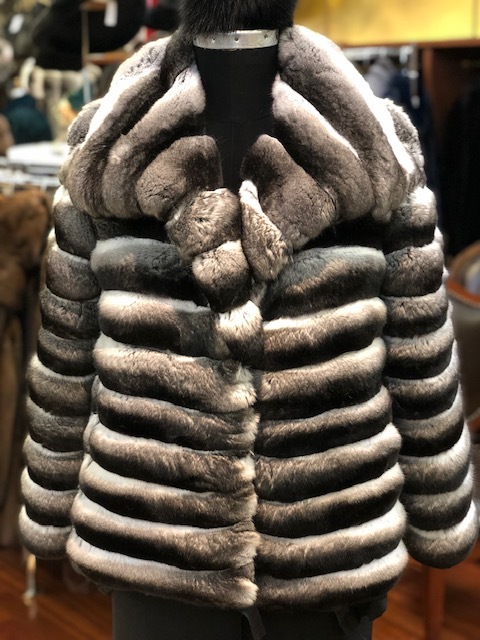 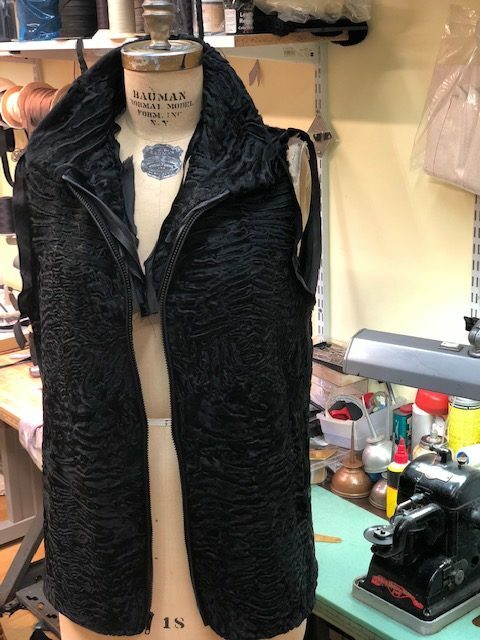 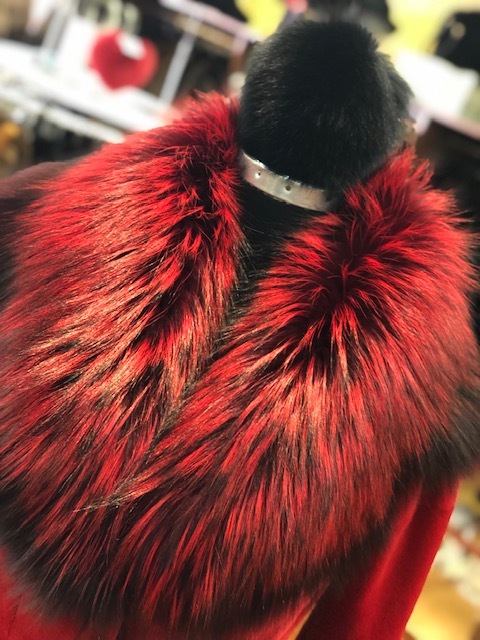 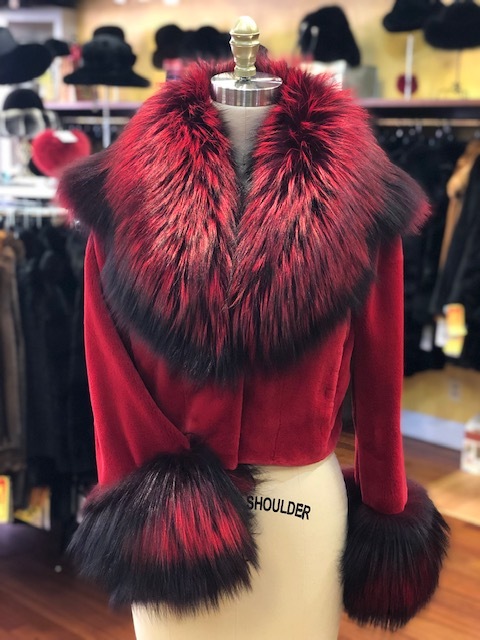 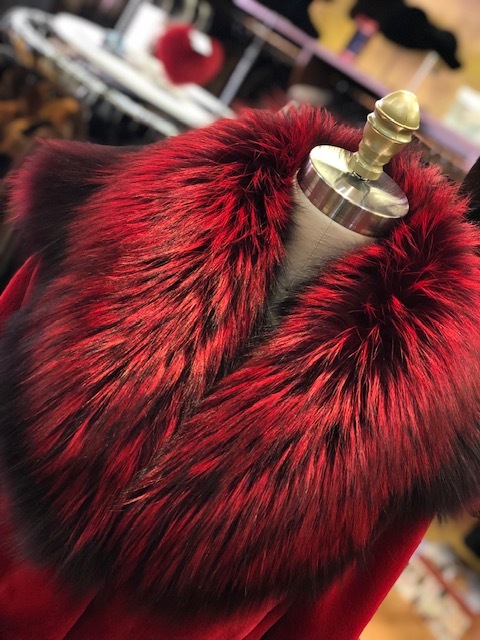 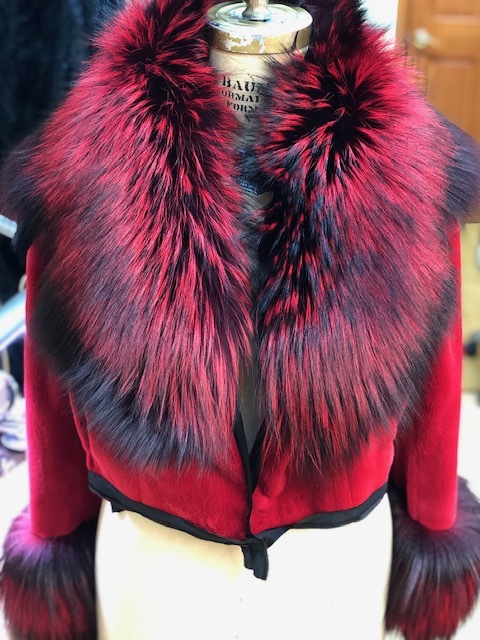 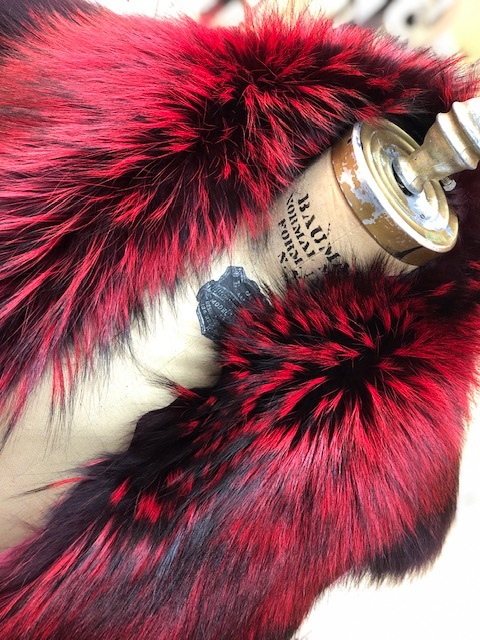 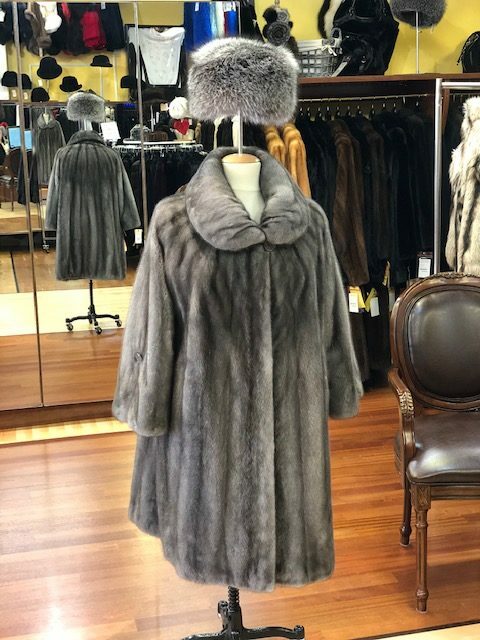 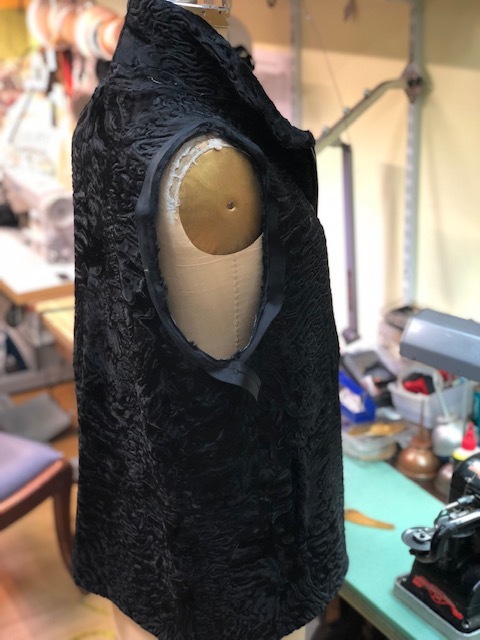 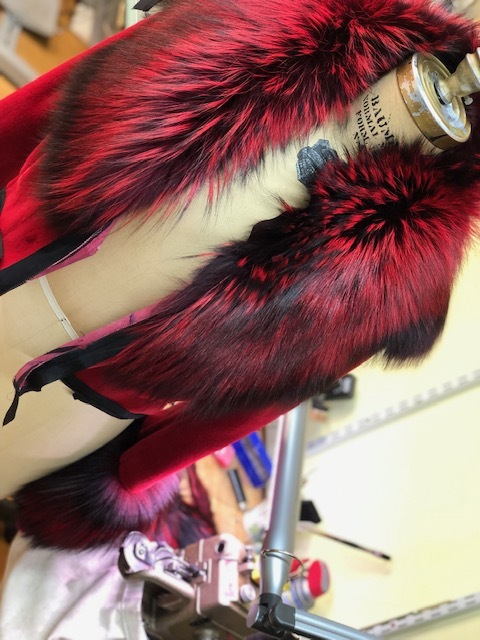 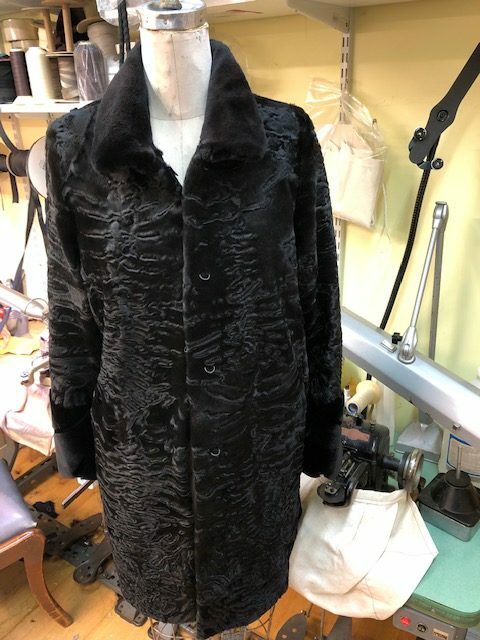 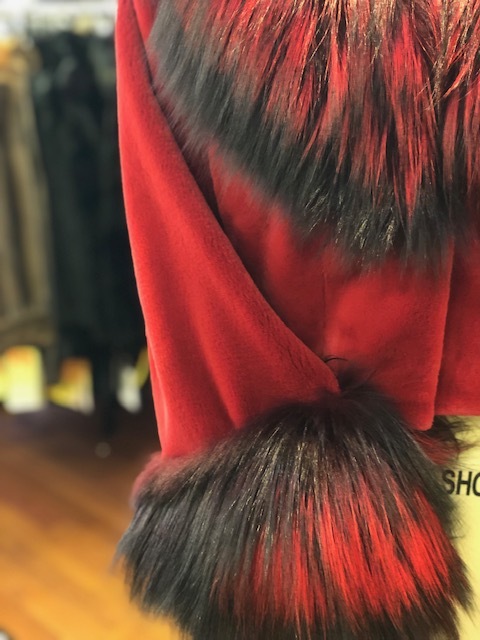 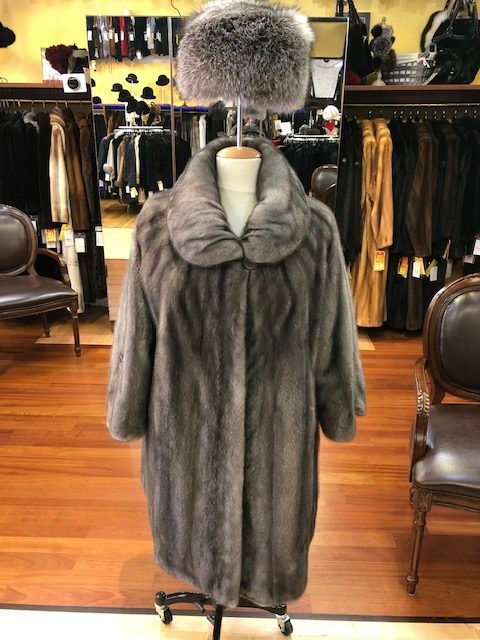 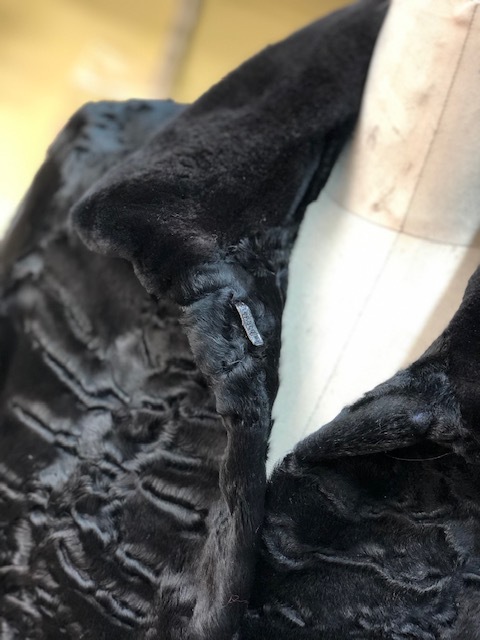 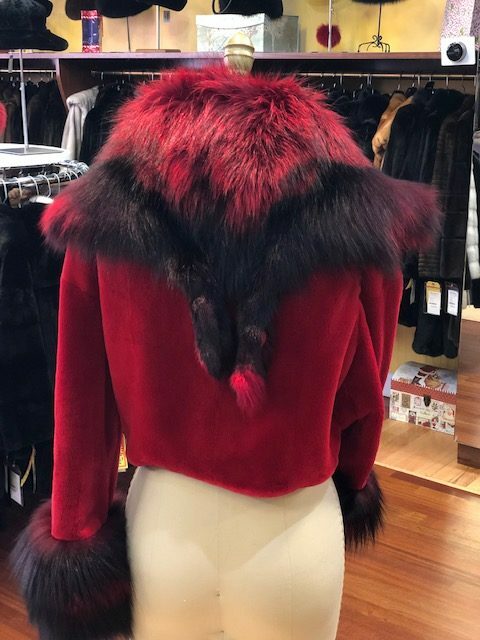 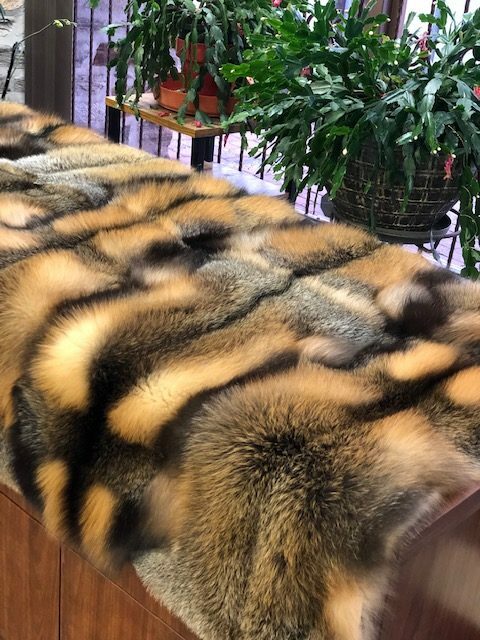 If you don’t see what you want at Furs by Demetrios, we can custom make it! 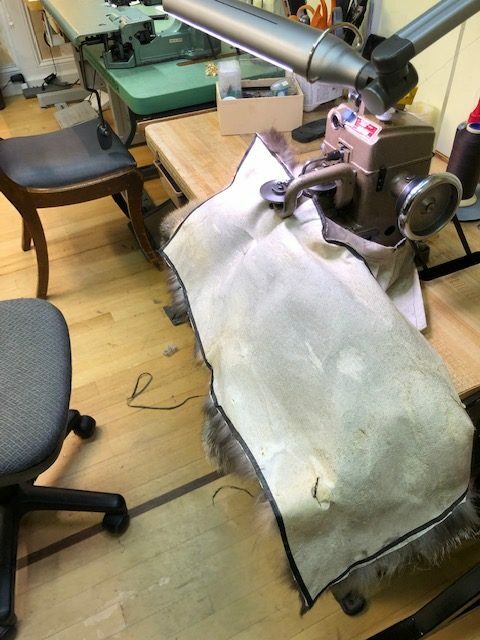 A design consultation is scheduled, measurements are taken, and a design is sketched. 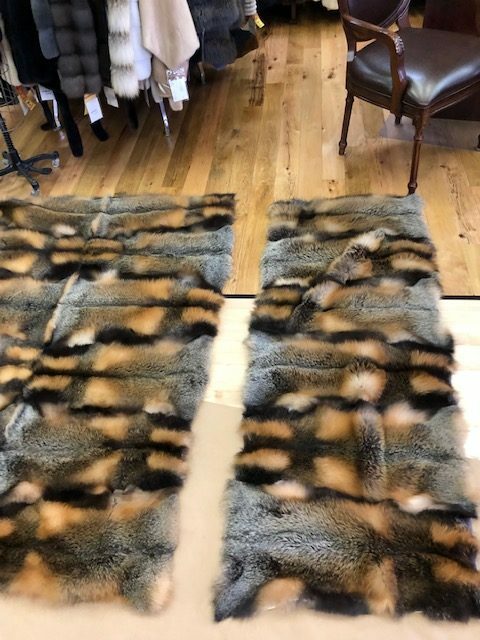 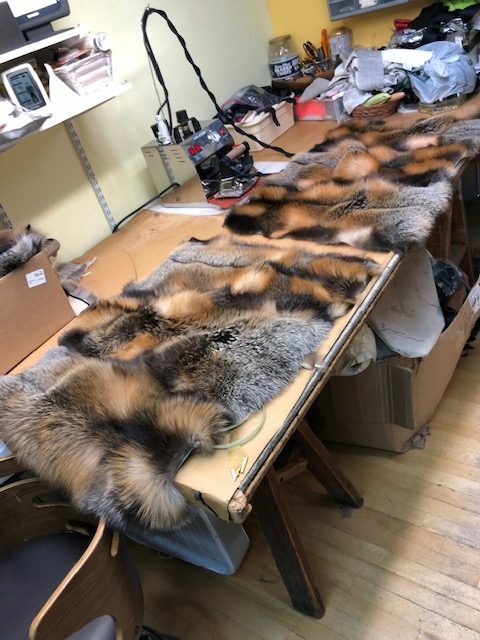 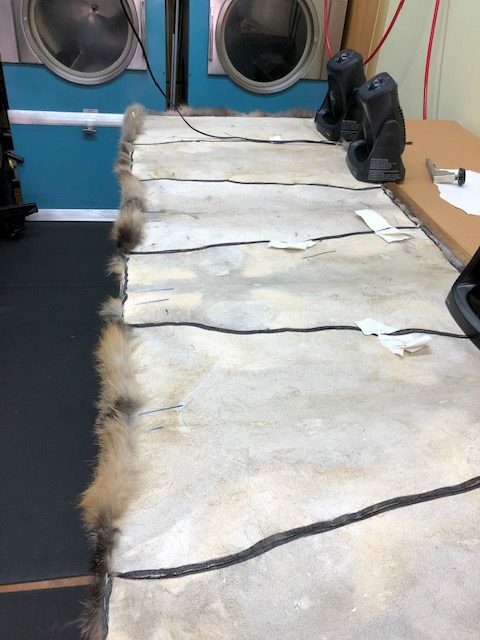 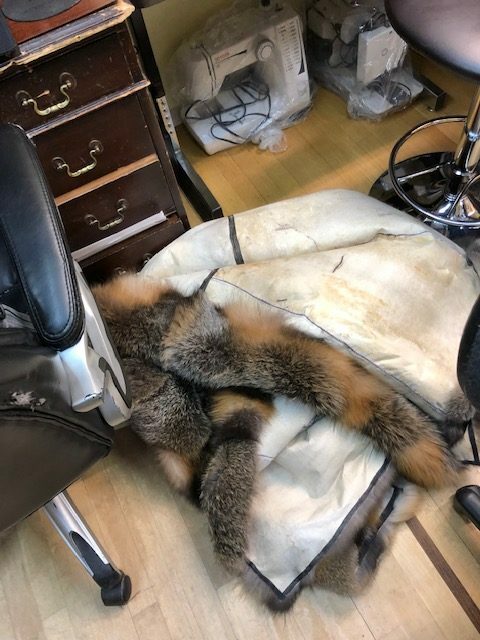 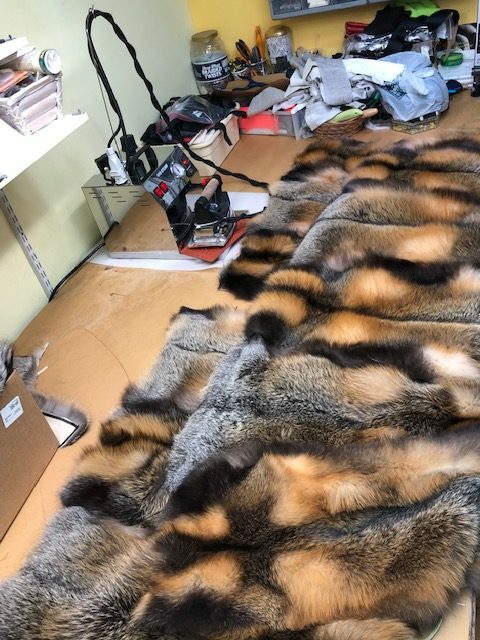 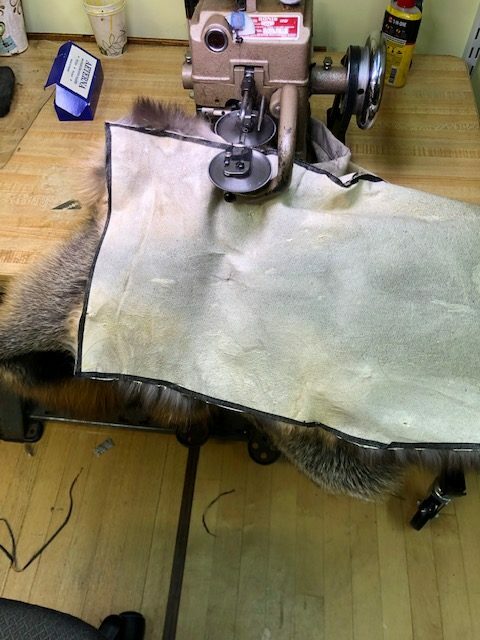 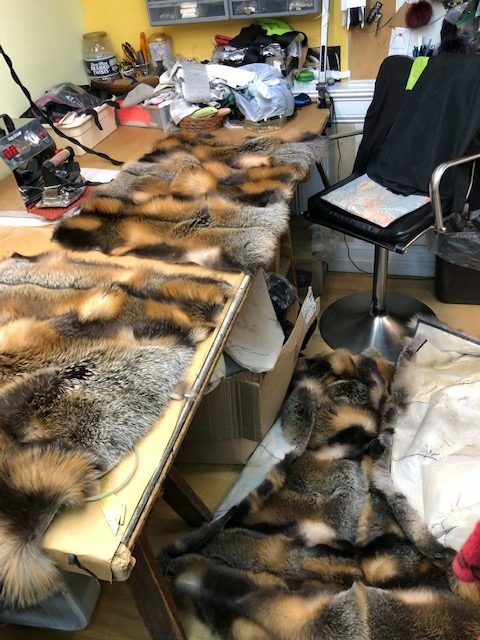 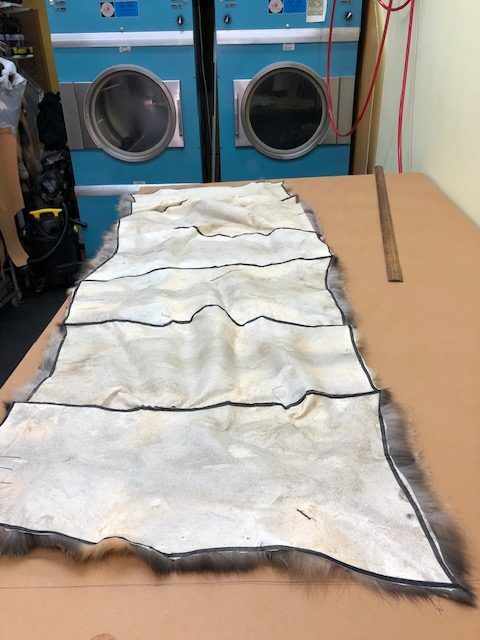 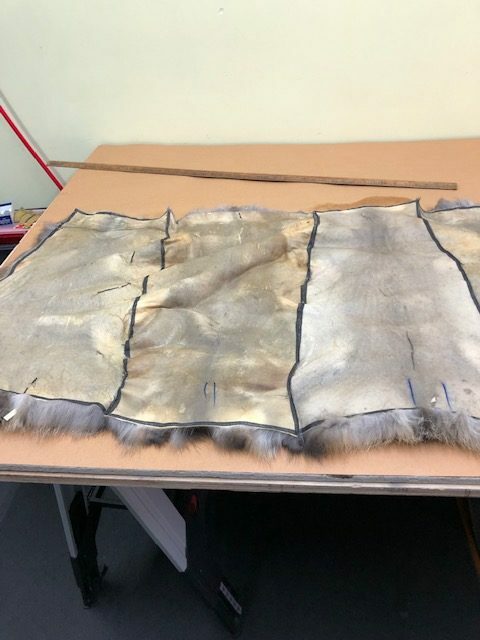 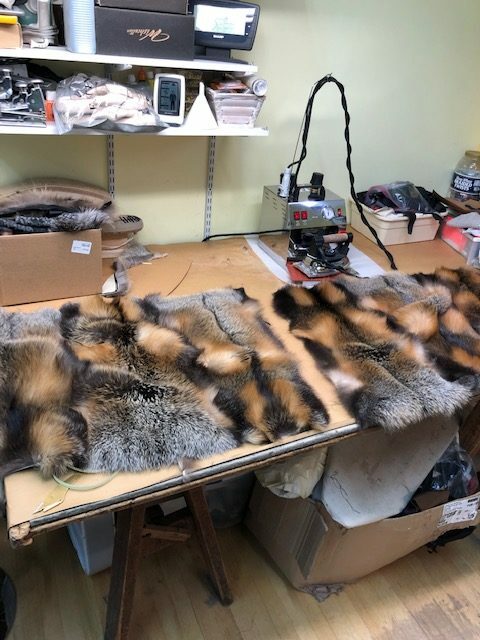 Next, pelts are hand-selected, a pattern is made to detailed measurements and the owners handcraft your fantasy. 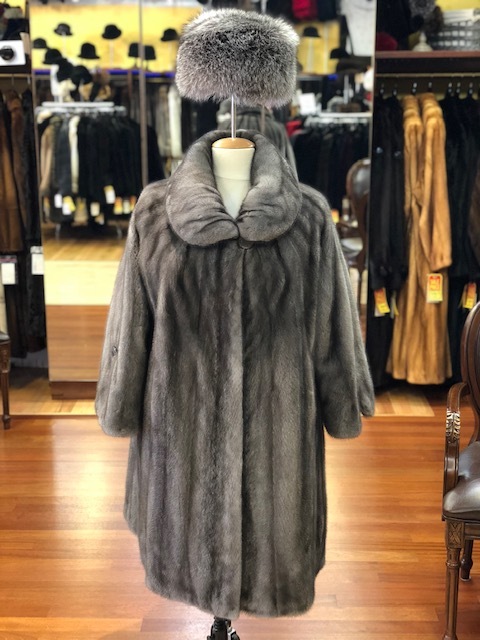 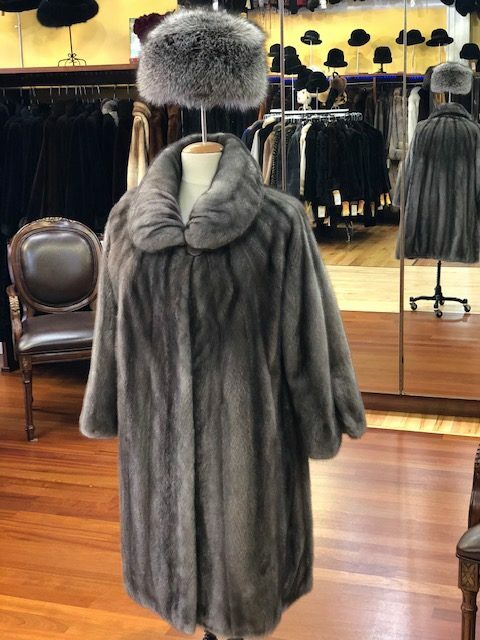 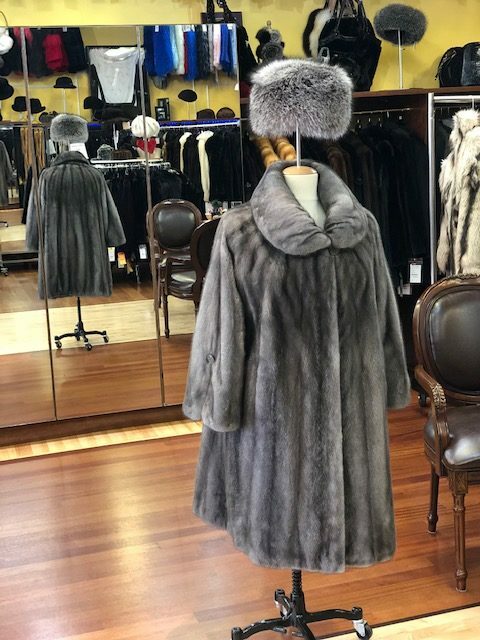 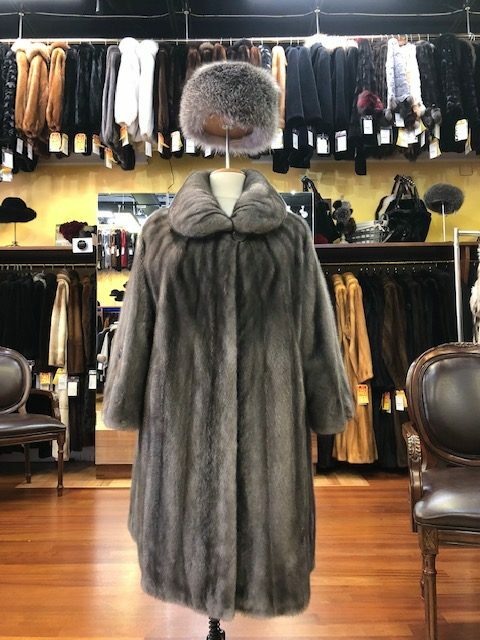 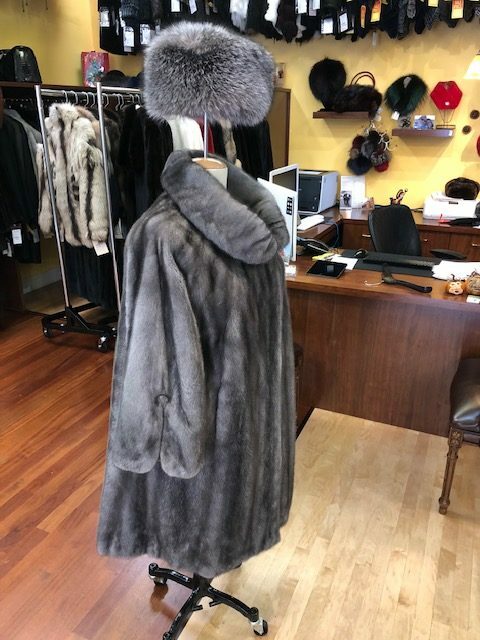 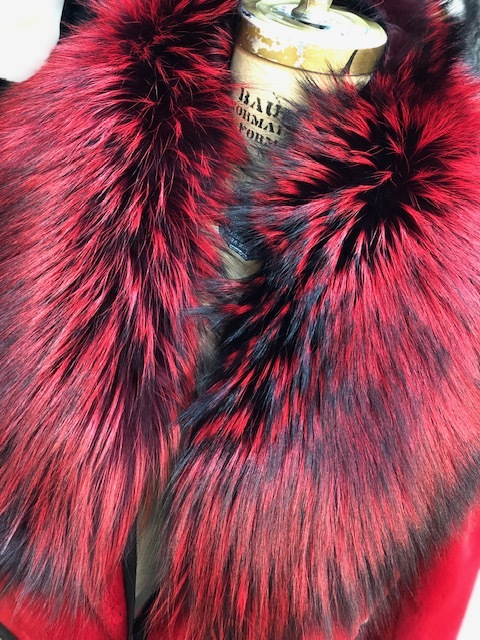 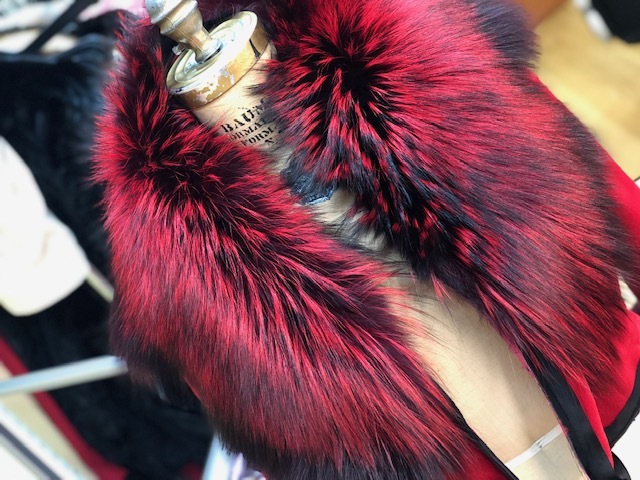 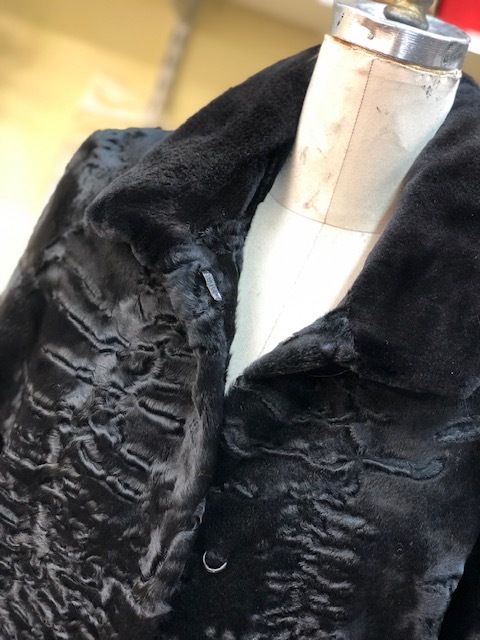 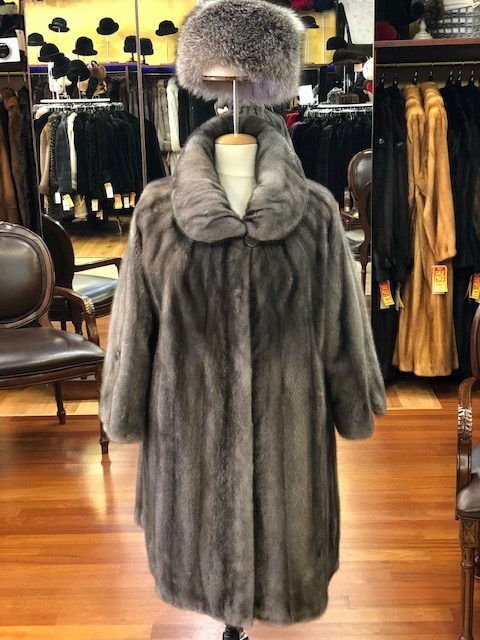 Nothing is more luxurious than having a fur made to your specifications. 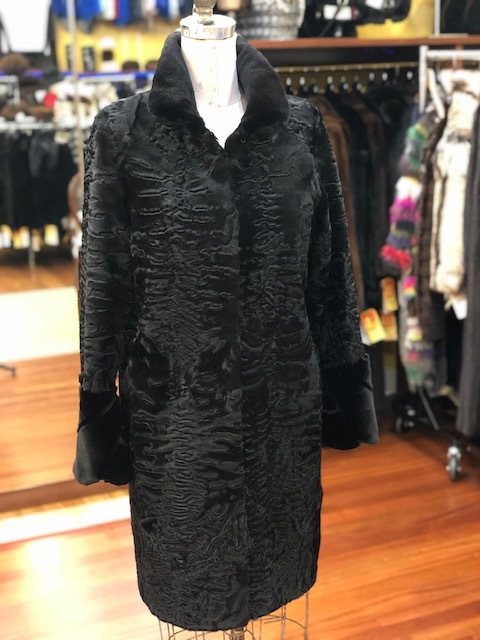 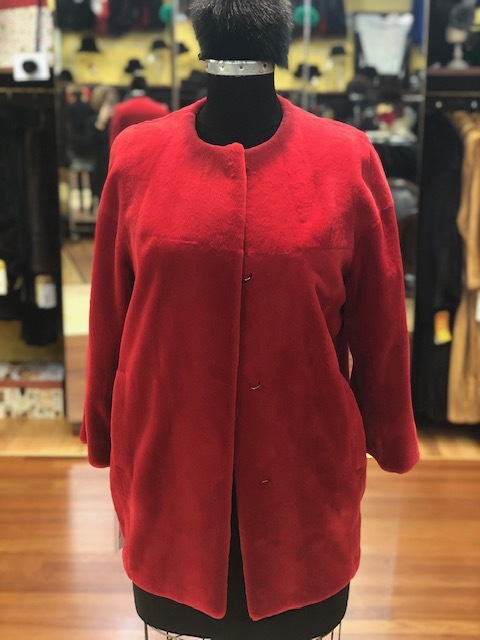 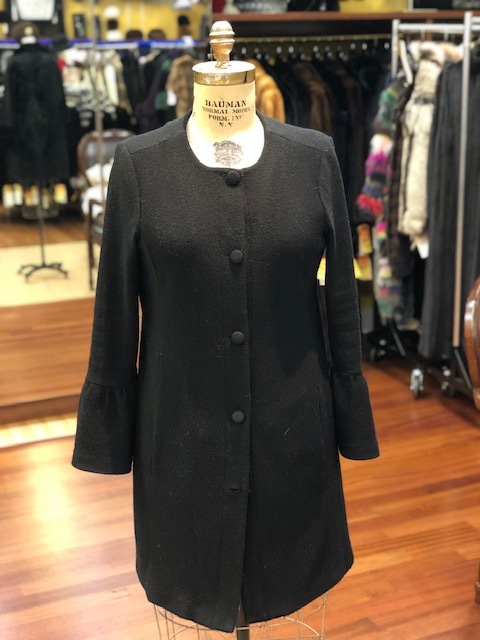 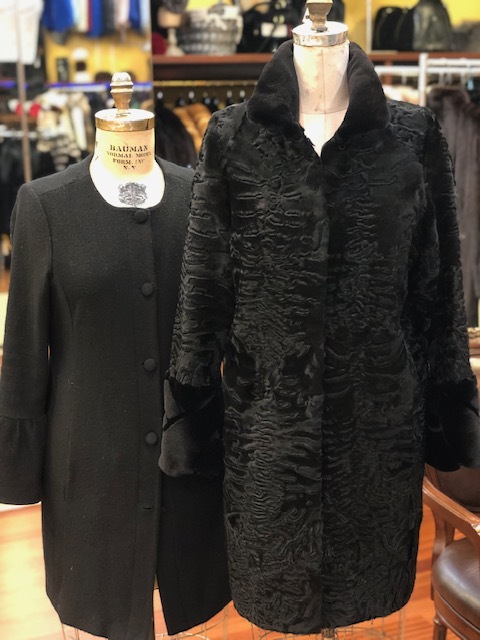 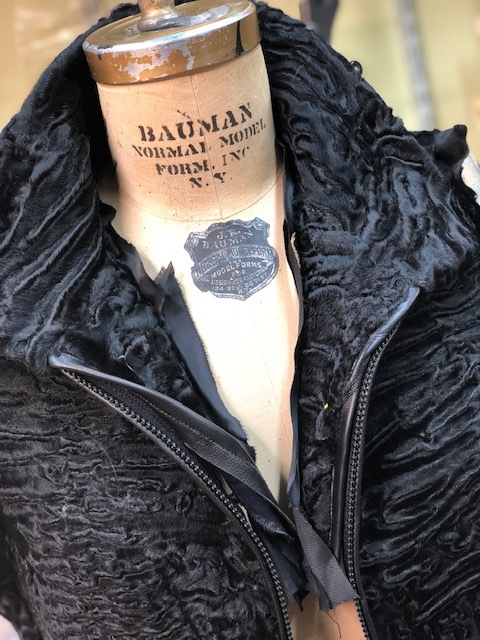 Our customer had a wool coat and wanted it in Swakara. 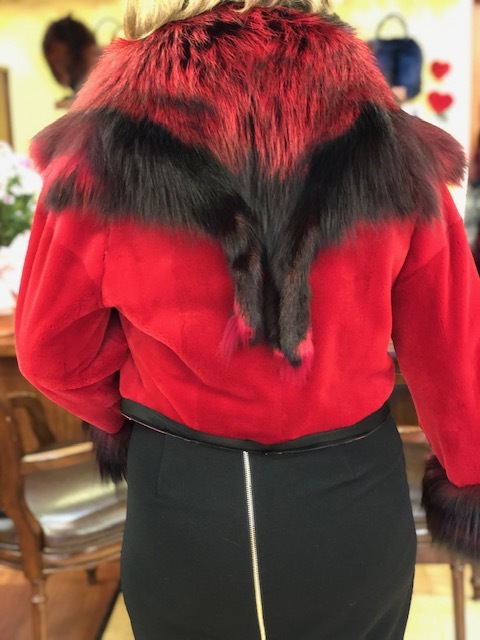 We took the coat, made the pattern, sourced the pelts and custom made her coat. 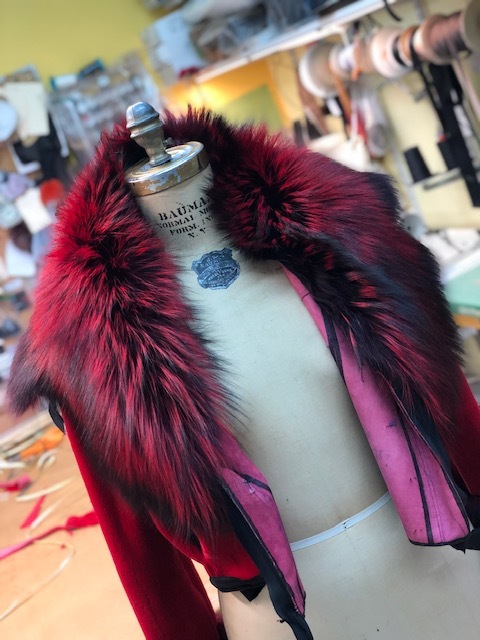 A few tweaks on the way (she wanted a stand up collar instead of no collar) and she had a brand new coat! 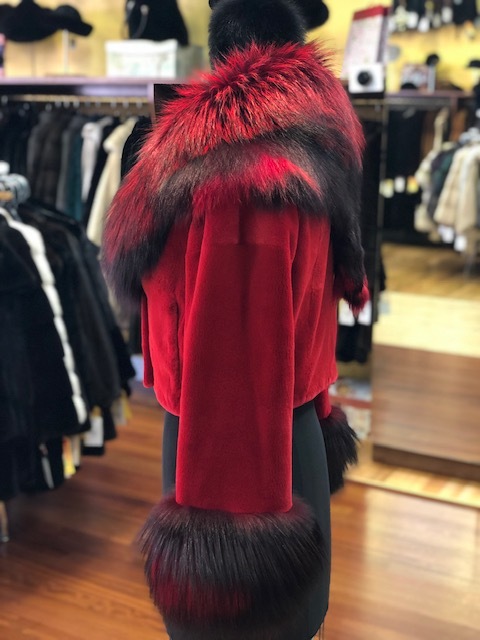 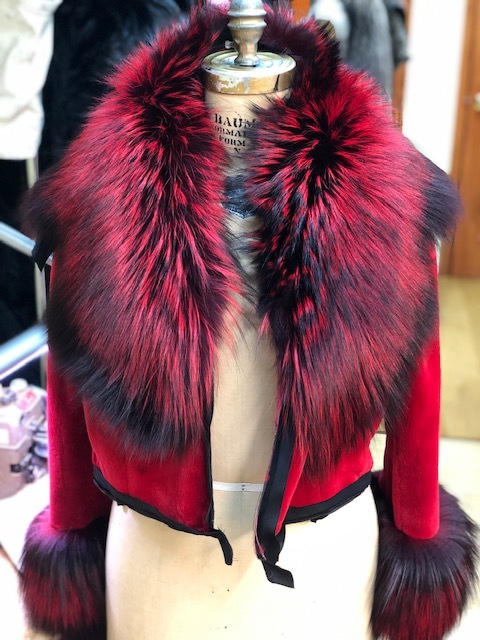 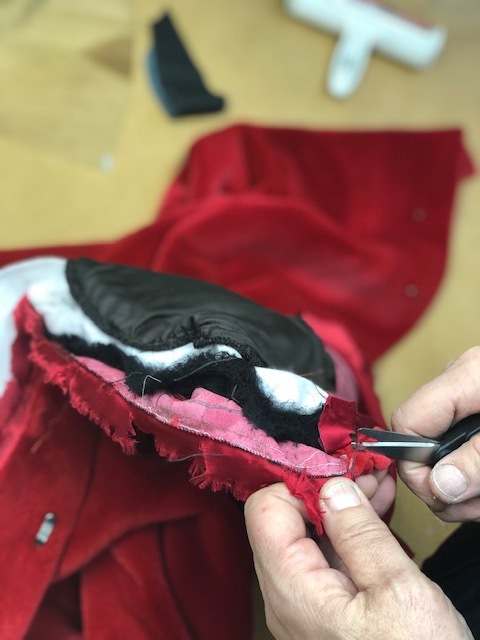 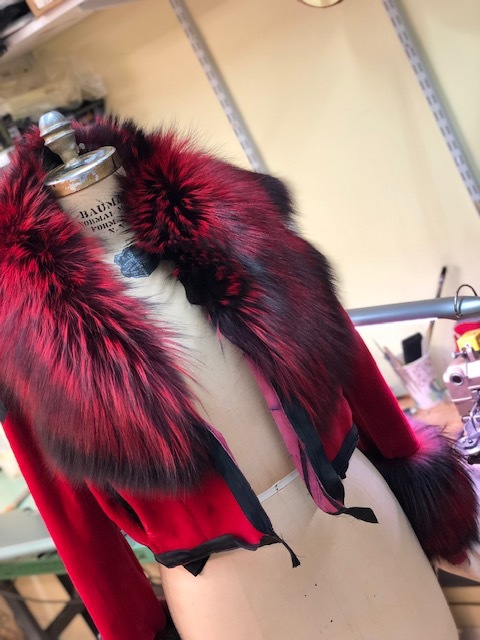 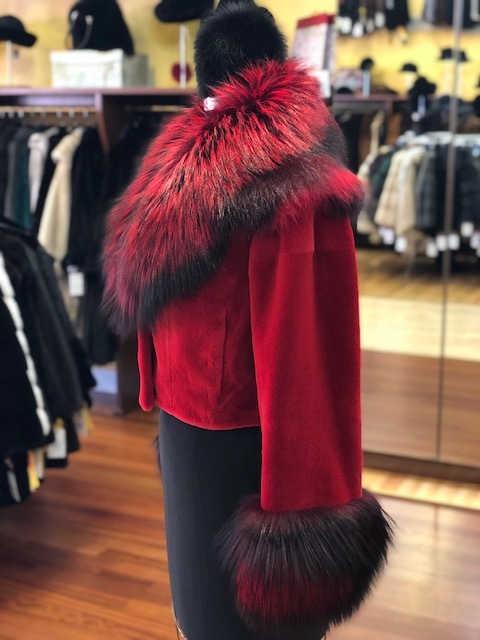 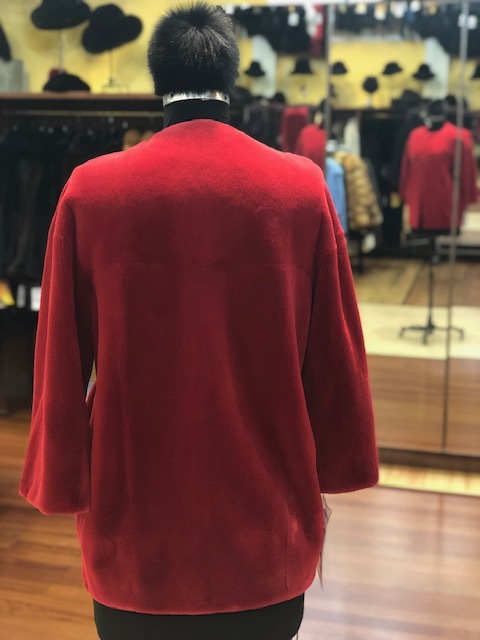 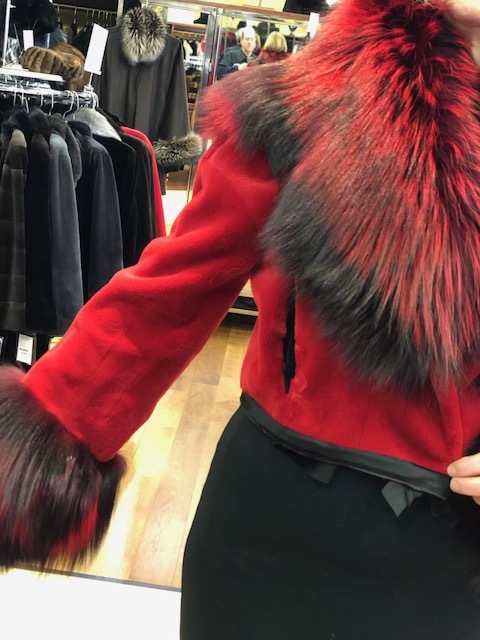 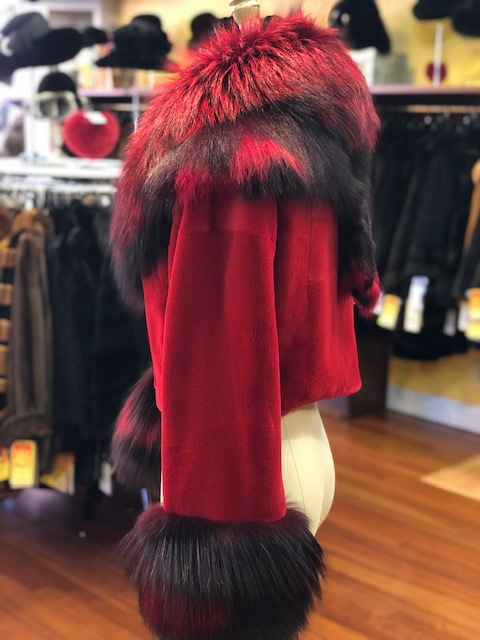 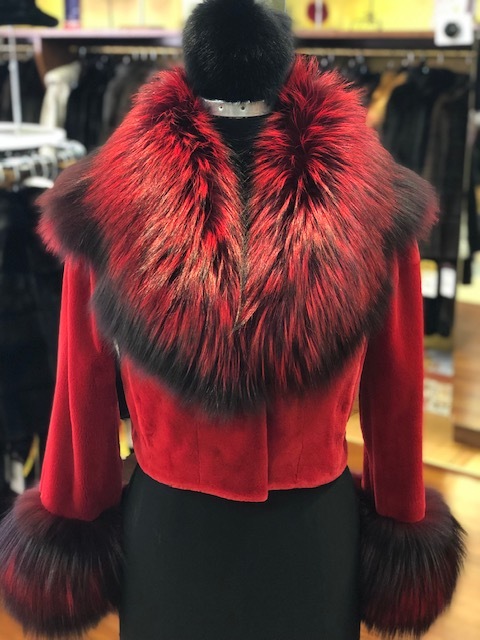 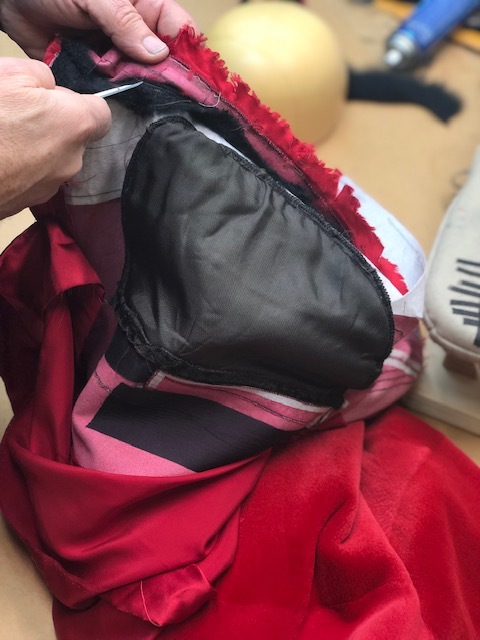 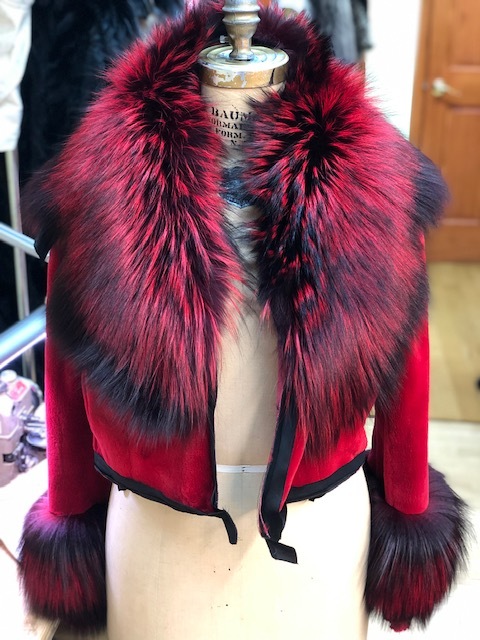 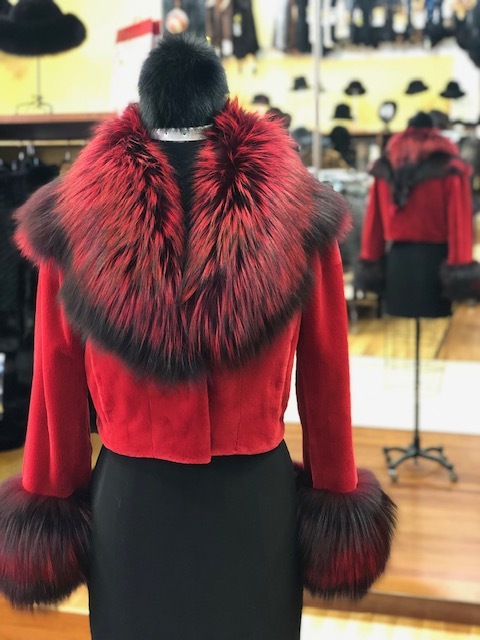 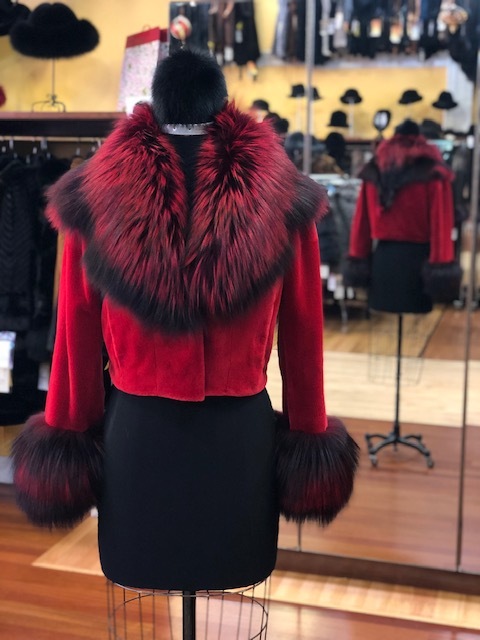 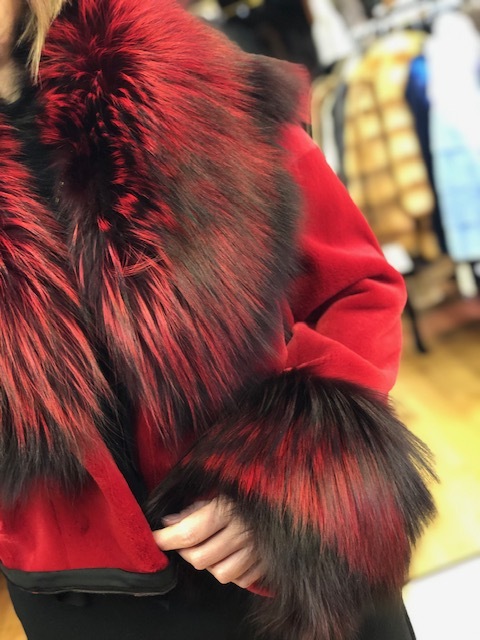 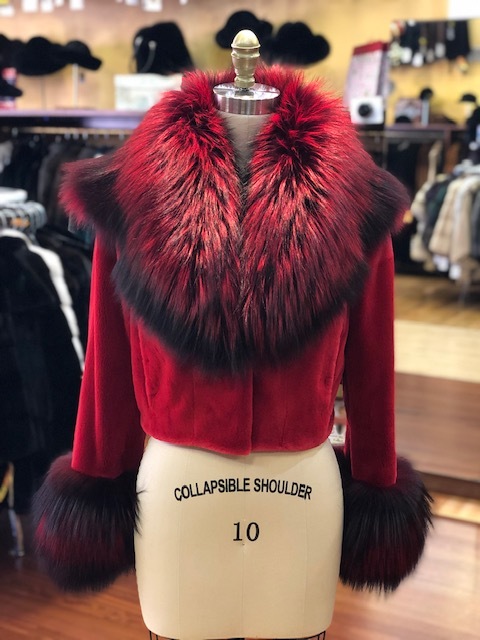 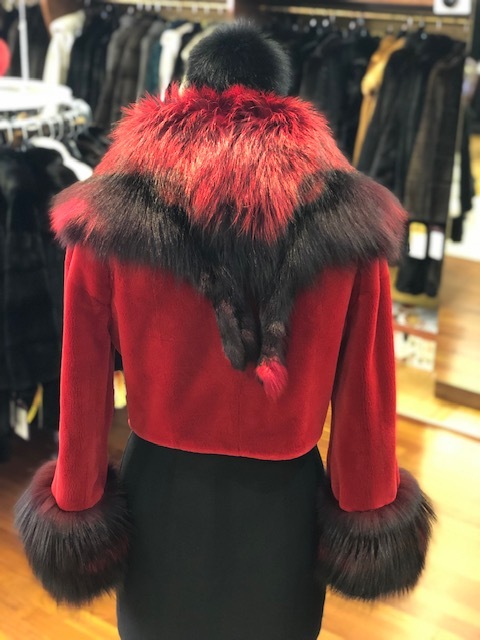 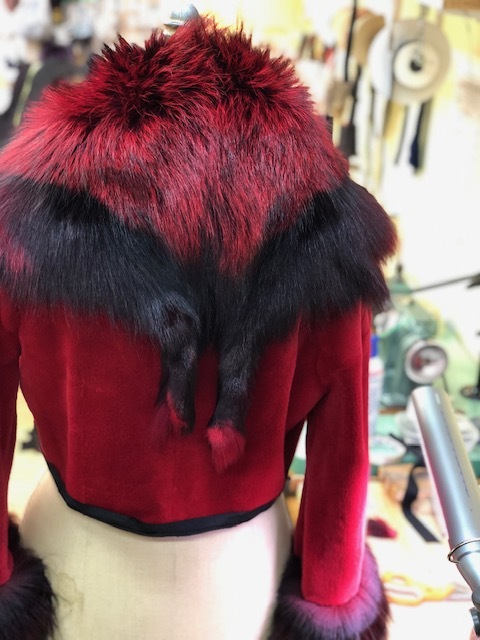 From a plain jacket to a beautiful original Bespoke Red Sheared Mink Short Jacket by Demetrios. 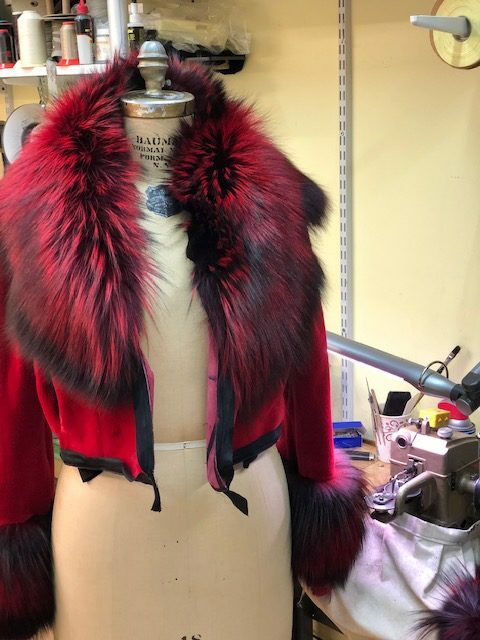 Demetrios Originals are our pride and joys (and our favorite projects). 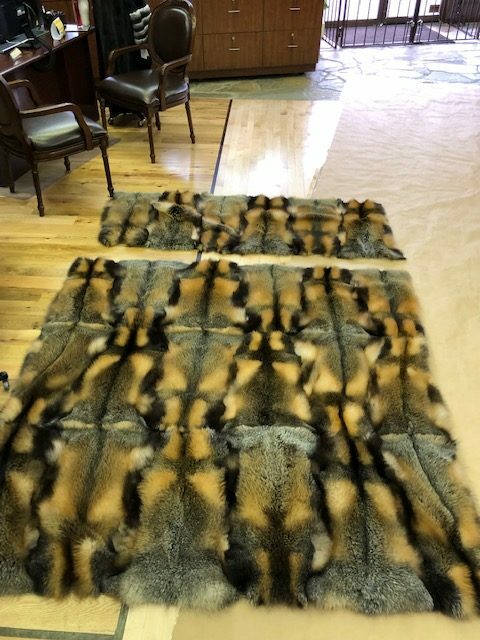 Demetrios just handcrafted this beautiful Red Cross Fox King Size bed spread. 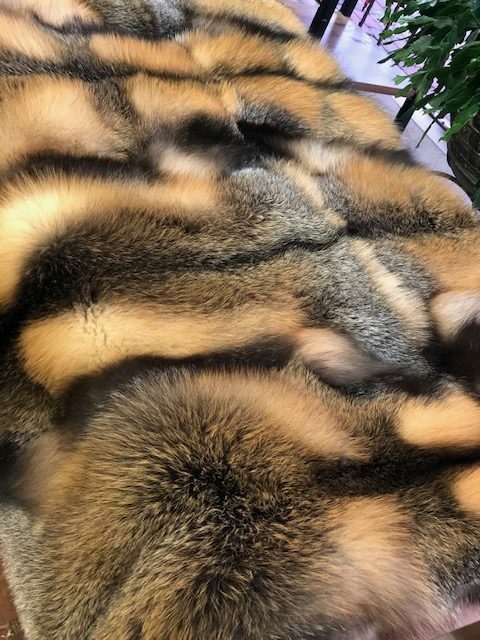 Time to snuggle.